I thought it was the riders you wanted nerfed? The amount of people riding around as Cavalry now is crazy. Mainly because you don't need any skill whatsoever as cavalry class to take down a heavy vehicle anymore. Just came from a game where cavalry riders were riding around like flies destroying tanks. 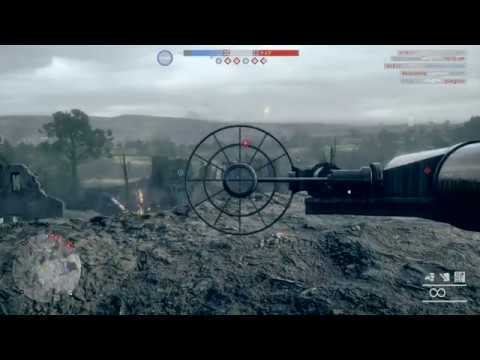 I was shooting horses left, right and centre with a heavy tank, unable to kill them. A full blast from the muzzle of a Heavy Tank at point blank into a horses side to do "45" damage ? Number 1 Issue : Bored Level 150 Players waiting for Heavy Bomber Spawns. Those are the most useless Players on every Server..I dont think there will be any changes to this..But if DICE wanna destroy BF V in the same way like they did it in Bf1.i´m not sure if we gonna have fun like we had before..
And no idea that this is a bug of a weird design choice, but the at mines are now useless and very annoying to use. I just want to say something to the developers, and yes, it's positive. Hope they will read this. Since the last update BF1 is stable as a rock! The update before this one **** something up. I had regular "BF1.exe stopped working" crashes in W10 1607 (sometimes after a few minutes, sometimes after 2 hours), and nothing on my system changed except the update of BF1 (W10 updates are disabled through GPO). I am using a Ryzen 1800X CPU and a 1080 Ti graphics card with the lastest drivers installed. I tried different kind of things to fix it, but suspected it was just a ****-up in the code somewhere, because nothing on my system had changed. The developers probably know what they fixed, so thanks and continue the good work. - joining empty or just finished Operation matches (for the Operation Campaigns) when not going via the server browser. People are ruining this game by not playing and just looking at the map live. Not spawning in. And relaying the information they see to their team mates. For example, if my team mate is a sniper, and I choose not to spawn in, I could see the map live, with the flare he puts out and see if the enemy is flaking. My score will be 0-0., all during the game. I find this not worthy of playing anymore. This makes a big difference if a party of 8 is in effect. Some cheaters aren't so obvious they go 1-2 level 150. Would you consider getting stuck at black screen while waiting for next match a priority? I dunno why but tonight, AFTER EVERY MATCH I will glitch out and I will be forced to stop the game and restart the game. This even happens when I quit the match after it has ended. It just shows "QUITTING..." it's not a black screen, but I'm still stuck. PS4 asia matches, conquest or shock operations. Thanks. I just want there to be more weapons for factions like the Ottomans and Italians. There are very few weapons in the game that they actually used. Every class should have weapons used by every faction. I hope they fix this in BFV. Lower overall damage! TTK 2.0 was a major step back imho, we had it almost perfect - not too much, not too high. Those who liked more dmgh could choose 200 % dmg servers. But no, they had to step in and "fix it". Now it is even worse - after recent patch it is close to unplayable. Random dying just from a support camper somewhere in enemy spawn area, shooting you from 1 km away? Yeah... Snipers killing almost always, with almost zero bullet drop? And the dmg towards the planes is just exorbitant now - yes, I agree, planes are very powerful vs infantry, but now the fire from these burning bullets or whatever it is is a joke. Same with gunner position or worse - antitank ammo on planes (but this was always too strong, for me almost an exploit) - this is all too powerful to engage in any nice fire exchange, it is just shoot-die scenario. I am somewhat inclined to think they do it on purpose, to make people hate BF1 and buy new title. Well, this trick won't work with me, for sure. the game freezing up when loading next round has been happening for around 3 weeks now. players are forced to quit using task manager (on PC). happens after every round. and conflicts with cloud data sync every time I exit the game. 3 WEEKS NOW!!! Priorities DICE! its really ruining the game! Yep, this issue is unbelievable, it's literally game breaking. I only play operations so I don't know if conquest etc is affected. Currently it's this.... pick a full server from the browser (this is the only way to guarantee a decent match with lots of people), join anywhere between half way through a match and toward the end, match finishes, black screen of death, wait, wait, wait, give up and quit the game, load up and repeat. It's mind numbingly boring and has actually stopped me playing over the last few weeks. It's been an issue ever since the shock operations patch. I’ll hit on broken or poorly done game sound design again and again and again. I certainly hope we don’t hear such shoddy sound design in the next BF title. FYI I play on Xbox One with surround sound, high quality headphones with all the proper settings on my TV and console. I have no surround sound issues playing other shooters or any other games. I round a corner and bump into a totally silent enemy tank(that has the engine running) and get my head blown off by the main gun from point blank range. Instead of actually hearing the tank engine idling from a proper distance, with the engine sounds growing progressively louder and louder as I draw near, I instead hear a bomber engine from a bomber that’s flying on the other side of the map! Apparently that bomber engine from across the map has priority to render but that tank engine is excluded from my max sounds count? I’m located in a destroyed building(that I’ve completely cleared) observing the battlefield. I’m not shooting nor is anyone within 50 meters. From inches away I’m shot in the back by an enemy player that has magically appeared inside the building with me without making a single sound in lieu of all the broken glass and fallen rubble located throughout the house. Both of these examples happen to me personally dozens and dozens of times a day. It’s really unsat. DICE. Your sound design team has failed as far as sound prioritization and some sounds that should be rendering are simply not rendering. Please fix. In addition, it would be nice to see(hear) actual speed of sound properly modeled and implemented into the next BF title. Fix your servers. Or stop man by games. Simple enough. Count me out of bfanything going forward. The more you give these crap companies money the more crap games they put out. PSN was down too....dont know what platform you play...but it may not be DICE.